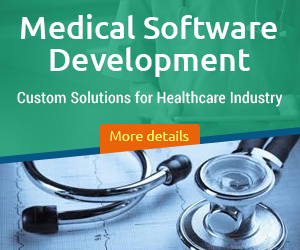 Still, among all of them, the most revolutionary offering is of healthcare mobile app development and software. Telehealth software and mobile applications enable patients as well as the doctors to avoid the probable inconveniences that occur during a hospital visit, substituting it rather with a remote communication. 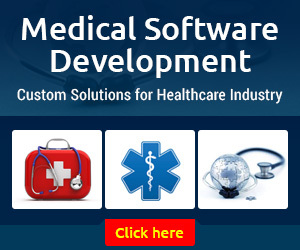 Why develop a telemedicine software? It is learned that 75% of hospital visits are actually too basic and they can be instead handled easily via a phone or a video call. All in all, the money and time spent by ¾ of patients at healthcare facilities are meaningless. In fact, in certain scenarios, a hospital visit isn’t always an available option. There are a number of countries facing a shortage of certain specialists or healthcare facilities overall, this leads to long waits and constant overload. So, in such conditions, it is common for patients to wait for their appointment for weeks while the doctors often have to work overtime. However, by teaming up with a telemedicine software development company to get the software development, healthcare facilities directly choose a hands-on alternative to hospital visits. This software works great at creating a better schedule for healthcare professionals, saving the time of 75% of patients not requiring a physical examination, and also give a better access to healthcare for people living in under-served rural areas. Today Nowadays patients prefer video consultations over phone or email, thus physicians require customized telehealth solutions for better & remote consultation. Often these clinics face certain challenges in terms of follow-ups of treatments and patients. However, customized telehealth solutions help them in automating tasks and be more available when patients need them. By providing telehealth systems to their patients, medical practice enterprises are more likely to get ahead. There are a number of telehealth developers who offer HIPAA-compliant telehealth solutions for such medical enterprises. What are the functionalities of Telemedicine Software? Prescription renewal: These visits when a patient requires to get the renewed prescription are certainly very frustrating. A telemedicine software comes handy in renewing prescription even on the very day the patients have run out of medication. Patients can schedule an e-visit to discuss their condition with their doctor and get a renewed prescription sent straight through the software. Then can get it printed out or even choose to show the electronic version at the pharmacy store. Medication advice: Often patients have certain questions regarding the medication, mainly when it has been prescribed for the first time. There could be certain side-effects or might want to know if it is okay to decrease the dosage after acute symptoms have disappeared. Using a telemedicine system, patients can send a photo of their medication prescription or either type their query in a message or can even book a call with their doctor to ask them directly. Photo-based consultation: There are certain specialists, mainly dermatologists who admit being able to diagnose a patient within first two seconds of visual contact, like in case of skin problems, eye infections, bruises & similar conditions with visible symptoms. Here a consultation via a telehealth software would be enough. The patient can fill a small questionnaire, after which the app will allow them to take a picture of the problematic spot and send it to a healthcare professional, who will accordingly establish a diagnosis and message it to the patient along with a treatment planner. In case, the specialist requires more info, s/he can schedule a video call with their patient or send lab test orders through the software. Real-time consultation: Often in case of minor or repetitive incidents, patients may already know the correct diagnosis, so they just need a confirmation from a professional. In such scenario, getting in touch with a health specialist via telemedicine software can be more effective than an in-person appointment. A patient can book an e-visit after answering a few questions related to their symptoms and scroll through a list of available doctors. Once a patient has chosen one of the specialists, s/he can book an e-visit as per their convenience. Online-Appointment Scheduling: The doctors can manage their availability by adding specific appointment timings directly to the online calendar. Patient simple need logging into the software, view available timings and select what suits them most. Patient & Doctor Dashboard: The dashboard page is what the patients & doctors will see when they first log in to the software. For physicians, it displays a list of pending appointment and new appointment requests. From this place, the video sessions can be launched directly and treatment notes can be edited. For patients, the page will display confirmed appointment, medication planner, video-appointment request confirmation, etc. Appointment Reminders: These alerts ensure you never miss out on your appointments. Both doctors and patients will be receiving an email before a scheduled session that provides the date, timing, and login details for the meeting. HD Quality Video Chat: What is better than being able to consult the physicians regarding your symptoms or ailments via a video-chat? The cutting-edge HD-quality video chat functionality enables you to see everything and have an interaction in crisp detail. Multi-user chat: Numerous of telemedicine platforms have this chat-functionality integrated which allow the providers to talk to patients or other physicians in the real-time. Patient information: With a simple click, a patient’s info can be easily exported in PDF format. This comprises of patient’s personal contact information, treatment notes, history of appointments and emergency contacts. This is helpful to provide a history of visits & patient info to the other healthcare providers. Treatment Notes: The health providers (admin) can add progress notes, treatment and evaluation for each session. The server securely stores these notes in an encrypted database, and thus it guarantees patient-doctor confidentiality & safety. Direct EHR integration: With the recent prominence of electronic health records (EHRs), it is vital that the patient encounters are documented and stored digitally. Same goes for telehealth, where a number of telemedicine platforms enable users to document patient encounters, record audio/visual notes and then attach them to patient’s health record. Pharmacy Databases: It is easier to access the Pharmacy Database from the telehealth system, thus making the workflow a lot easier and efficient. Document Sharing: The solution allows the patients as well as the physicians to share documents easily through the software, thus enabling efficient and timely care. Access Medicine Data: Medical professionals can access medicine data easily via the system to keep themselves updated regarding the newly-introduced medicines and the medicines that have been prescribed by them to certain patients. Reporting & Analytics: Several of telemedicine platforms consists of some form of reporting or analytics feature, though what data is included depends on the platform and what it is being used for. For instance, a real-time telehealth platform may include a reporting features which can track how many remote visits a provider has made, how many different patients s/he has seen, the common reasons for visits, and how many patients and how much were their satisfied with the visit. Store-and-forward Technology: This feature enables physicians and patients to share medical data, images & patients’ history in a safe & secure manner. They are mainly prominent in the arena of teleradiology, where patient MRI scans, x-rays, and more are sent to a specialist for remote diagnosis. This feature requires a robust archiving & compressing functionality as it deals with comprehensive medical images that need to be shared with others without any drop in image resolution. Prescription and medication tracker: This feature allows the doctor to track the prescriptions and medication offered by them to certain patients. Multiple Payment Mode: Constant payments needs to be received online in lieu of the services offered to patients, such as appointment fee, etc. Thus, multiple payments modes, like Credit/Debit Card, PayPal, Stripe, Braintree are offered to the patients to make the payment processing easier. CMS for Health Articles: CMS integration with Telehealth solution is quite crucial in order to maintain health articles efficiently. Push Notification: Alerts can be sent easily to doctors as well as patients in case of any updates, such as new appointment requests, appointment confirmation, medicine planner, and a lot more. Which practices find telemedicine software beneficial? Cancer care: Often cancer involves a long & intense period of treatment for patients where they need making visits to numerous healthcare providers, all during receiving treatment, such as chemotherapy, which makes them tired & sick. Thus, when patients are enabled to meet several of oncology providers from home using telehealth solution, it reduces burden not just on patients but also in caregivers. Family practices: With the use of telehealth solution, family healthcare can be provided in a lot more flexible manner. The system can be used by physicians to check on how patients are doing and to review test results and symptoms before prescribing medication. Sleep Medicine: The sleep conditions can be easily diagnosed and treated from home via sleep tests & therapies, however, a consultation with a sleep specialist is still needed. This is why telemedicine is quite popular among sleep specialists who consult with patients at home. Diabetes Care & Management: Chronic ailments such as diabetes need ongoing patient interaction. With telehealth solution being an effective and efficient way to engage with diabetic patients, they report their progress from the comfort of their homes. Medication Management: Medication compliance has a great focus in healthcare and with telehealth solution, the healthcare providers & staff can stay in touch with patients to assure they are compliant with a prescribed medication regimen. This improves patient-health results and reduces readmissions. Prenatal Care: Most of the prenatal care consists of routine check-ups & patient education, thus telehealth solution allows the moms to continuously receive care without any additional time & cost burdens of traveling to a clinic for each visit. Mental & Behavioural Heath: m-Health, e-therapy, telepsychology, tele-mental health is in all likelihood the largest segment of telemedicine users in healthcare, after all it is just so flexible as well as it can be utilized successfully for a variety of client populations in mental & behavioural health, such as Emotional support, Consultation & Supervision, In-home behavioral interventions, Medication management, Psychological assessment and Therapy for individual, couples, or groups. What are the benefits of Telehealth software? Telehealth solutions have proven to be greatly effective in overcoming barriers to health services occurred due to the distance between patients and providers, poor access to reliable transportation, lack of available providers and a fragment of care owing to gaps in time between appointments. What factors to consider while choosing Telemedicine System Developer? How to determine the cost to develop a Telemedicine System? These are the factors which are crucial to calculate the cost of Telehealth software & Mobile app development. As soon as you succeed in finding in right software development company, you can determine the cost of developing this system on the basis of these features.